In this post, I’ll reveal my favorite photography spots in SaiGon. 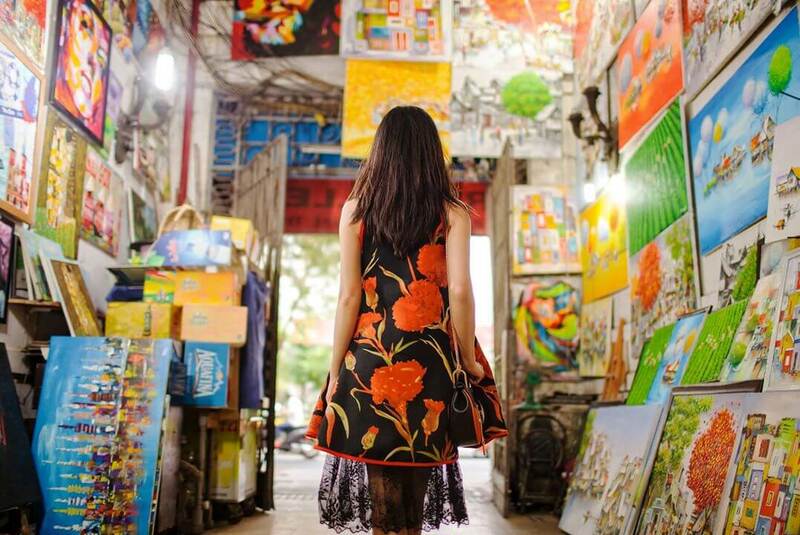 To bring out Saigon’s rich diversity and colorful culture, one of my favorite choices for photos is art arcades/alleys which appear at every corner of every district in Saigon. 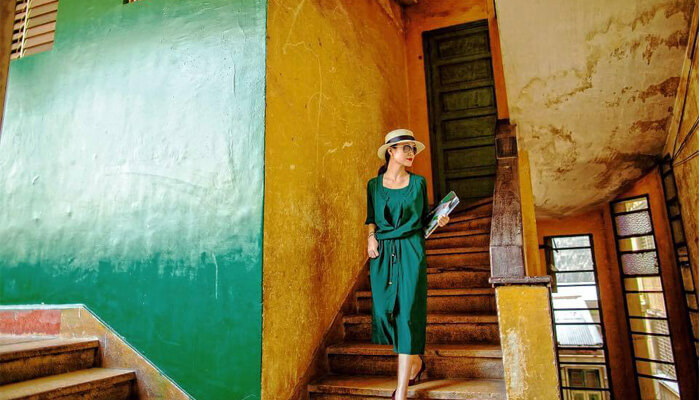 Instead of going to crowded touristy places like ĐườngĐi BộNguyễnHuệ, you can find hidden photography locations in these unique alleys with run-down spiral staircases, colorful and lively paintings, cool urban cafes, chic and trendy boutiques,….These hidden gems provide you with the ease of taking pictures undisturbed by people and curious eyes which can be sometimes uncomfortable for models/photographers. Also, there are iconic famous locations that are sometimes mistakenly regarded as “nhàquê” spots – only utilized by a-decade-ago outdated pre-wedding photographers in their photoshoots like NhàThờĐứcBà or BưuĐiệnThànhPhố. On the contrary, these places make perfect backdrops for engagement/pre wedding photoshoots; with the right lightning (preferably golden hour) these spots bring out that vintage, antique, artistic aspect of Saigon. The alley leading up to M2C Bistro is an interesting choice if you want to have a quick fashion photoshoot. The alley has cool paintings, modern lightnings, polished concrete floor,…which lend the chic and trendy vibe. 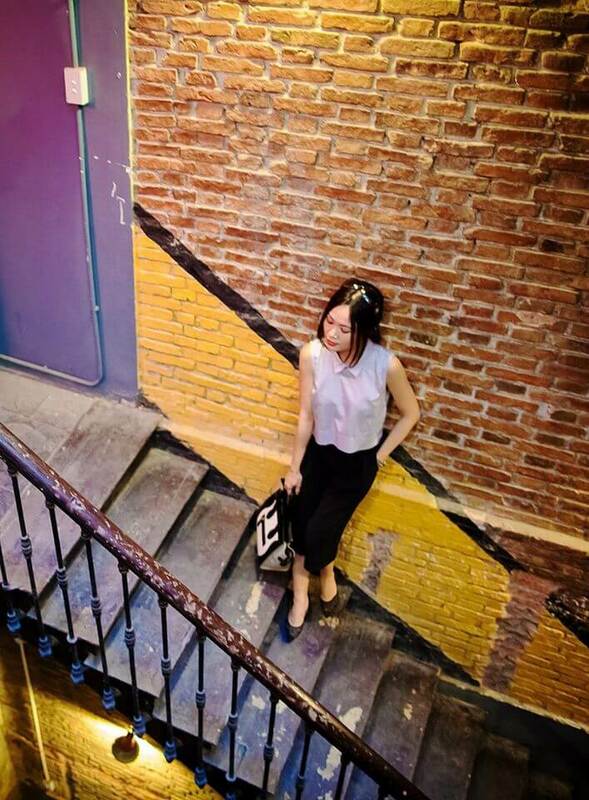 SaiGonOi Cafe is a cool, fresh, airy coffee spot which provides a beautiful view of the whole Nguyen Hue walking street; however, its’ not SaiGonOi that I want to talk about, but the old staircase leading up to this cafe. The rustic feel, the yellow walls, the green apartment doors are all essential elements for vibrant, bold, and lively pictures. I always wear green when taking pictures here as green-yellow is my favorite complementary combo. 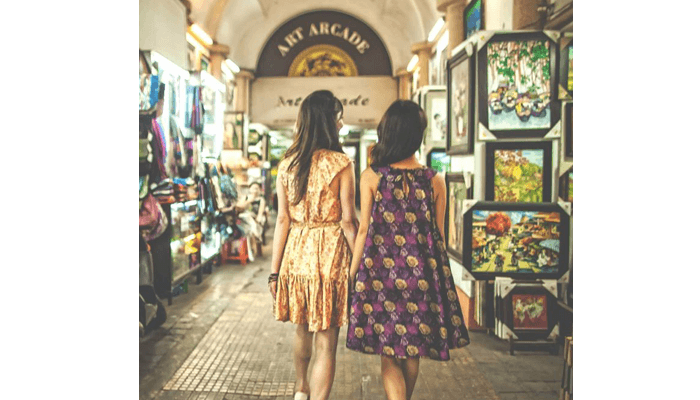 You can find a lot of art gallery stores in Saigon, but most of them can’t bring you the special feeling of walking in an arcade with hundreds of paintings covered densely both sides of the arcade. This particular one is my favorite as you can see numerous paintings cover the walls and even the ceilings. 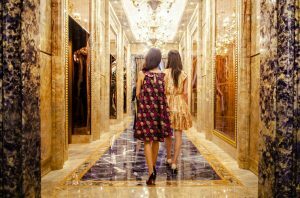 It’s quite interesting to step out of the modern world with sleek elevators and escalators that prevent you from burning your excess calories, to do some steps in a place that lasts from the last century. I think these staircases are essential for young Saigonese to experience and be reminiscent of the old magnificent, glorious Saigon. This historical and iconic street is the perfect backdrop for couples who are looking for an engagement photoshoot that features the busy hustle-bustle Saigon life with streets vendors, local boutiques, beautifully restored French colonial buildings,…Buying food/coconuts from street vendors, looking at colorful hand-made cards presented on a wooden stand,…are different ways to pose for your photoshoot to show the rich diverse culture of SaiGon. 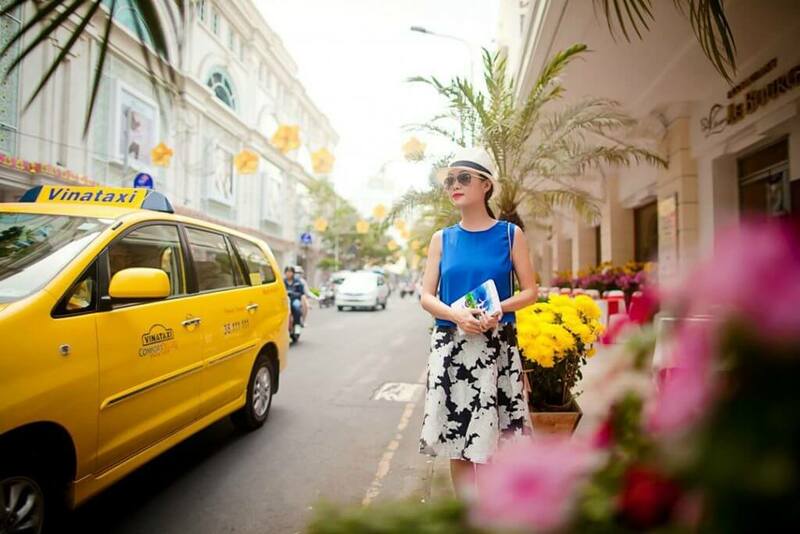 Situated right in the heart of SaiGon are the most two famous landmarks right next to each other. I strongly disagree with people say things like, “These two places are just for locals who can not travel for better engagement/pre-wedding photoshoots.” Owing to the photographers’ skills, the photoshoots turn out to be “quê” or not. These two landmarks with their red brick and yellow walls are colorful, vibrant backdrops for pictures. Situated right in the heart of what was known as Place Garnier, the Continental Hotel’s outdoor cafe has the perfect view of SaiGon Opera House. Come here, sit down, breathe in the rich history of this old-world charm, imagine yourself walk in the footsteps of Graham Greene, relive the story of “The Quiet American”, and take lots of pictures. With a uniquely modern twist “ East meets West” on Saigon, Cafe des Beaux-Arts is romantic, elegant, and art-focused. In my opinion, the interior design of this hotel is a little bit too much (sến); but there are some corners in this hotel are very photogenic. White marbles, malachite stone veneer, white and gold mosaics, peacock feathers logo,…all are strictly feng-shui planned to show off abundance and wealth. And sometimes you need a little bit of that kind of extravagance in your photos to make a bold statement.